“A soul awakening is moving from what you used to be to who you’re supposed to be. Harriet Tubman Wright, MS, MA is a life-long learner, spiritual sojourner and cultural creative. She lives her primary values of freedom, justice, peace, wholeness, vision, community and service through her liberating engagement with others. At an early age Harriet demonstrated her creativity through instrumental music, modern dance, sewing clothes, fashion modeling and later writing poetry and creating altars. Harriet lives her commitment to service that empowers and uplifts others. For over 45 years, she helped hundreds of people improve the quality of their lives while working in community-based organizations, educational institutions and the public sector in the US, and international agencies in West and East Africa. City of Oakland; Oakland Museum of California, Parks and Recreation, Cultural Arts, Fire Department. In each department, Harriet was innovative, organized, respected, proficient and insightful while managing programs to enrich Oakland residents, eventually earning the reputation of Seasoned Professional. Harriet launched The Wright Business, Ltd. Events with Spirit, an event planning, promotion and production business. With her artistry, professionalism and appreciation for creative expression, she partnered with private clients and public agencies to coordinate art exhibitions, book publishing parties, birthday and retirement celebrations, conferences, cultural events, weddings, receptions, retreats and rituals. Her innate capacity to vision the larger intent and pay attention to the details earned her a stellar reputation transforming ordinary events into extraordinary experiences. For several years Harriet pursued her dream to create The Wright Resort, A BodyMindSpirit Wellness Center. She began by convening Salons serving primarily African-American women in 2006. After retiring from the City of Oakland, she transitioned to full-time operations in early 2008, gradually expanding services of The Wright Resort to VIP coaching, speaking, tele-seminars, bodymindspirit empowerment salons, spa days, private and public altar-making and holistic organization consulting. 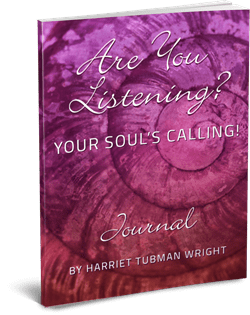 Harriet is an accomplished Soul’s Calling Activist, Speaker/Storyteller, Published Author/Poet, Person-Centered Expressive Arts Facilitator and Metaphysician. Soul’s Calling Activist – discover/remember/express your Soul’s Calling; live your divine purpose, step into your power and prosper! The Wright Resort is now dedicated to Feminine Leadership and Social Consciousness to evolve people and the planet. It is Your Soul Safari to Success, a journey to prosper doing what you most love in greatest service to others. 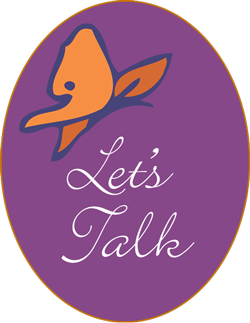 Harriet leads mature career women and solo-preneurs to live their utmost Soul Expression and Contribution with spiritual practices and creativity tools to galvanize those they serve, and as leaders transform businesses, workplaces, communities and the world. In doing so, they co-create a new paradigm of feminine power and conscious social change. Harriet is an active member of East Bay Women’s Network (EBWN), Thriving Women in Business Community (TWIBC), Evolutionary Business Council and Black Women Stirring the Waters (BWSTW). She is affiliated with HOW WOMEN LEAD. Harriet joined WorldWideWomen BuyFromWomen™ and was also placed on the Spirited Woman Top 12 Pick List. She is a Charter Member of the International Association of Women in Business Coaching (IAWBC), and a graduate of the Thriving Speaker Platinum Program, and Leadership Oakland, a program of the Oakland Metropolitan Chamber of Commerce and the Oakland Rotary, as well as Women’s Initiative for Self – Employment and Optimum Health Institute. Harriet generously shares her skills and talents in a range of community engagement activities. Health Conductor #95 of the Bay Area Black United Fund (BABUF) Initiative to address health disparities in the African American community. Former Member East Bay Church of Religious Science (EBCRS) Board of Trustees and active with the Health & Wellness Ministry. In 2010, she was recognized as the Sacred Service Champion. Current member of Beautification Team. Former Member Graduate Leadership Council of Women’s Initiative and University YWCA Board in Berkeley, CA. Harriet has worked and traveled extensively in Africa, and enjoyed quality time in Canada, the Caribbean and Central America, Europe, Hong Kong and India, appreciating the rich tapestry of cultural and spiritual diversity. She enjoys altar-making & creative writing, exotic meals & nature walks, visual & performing arts, quality time at resorts & spas, fun adventures with friends, and cheering for the Golden State Warriors! Harriet’s son Ed Wright, is a graduate of UC Berkeley with a BA Degree in Social Welfare. He completed an outstanding collegiate career as an NCAA All American High Jumper and is currently an Academic Advisor at UC Berkeley. He is married.